BENAA is a modern real estate theme that features everything you need to create an online property management system with WordPress. It allows you to establish professional real estate marketplaces, coordinate your agents or accept submissions for your listings and directory. This theme is perfectly suitable if you are planning to launch a high-quality real estate portal or directory sites to list houses, apartments, mansions or any other type of accommodation. 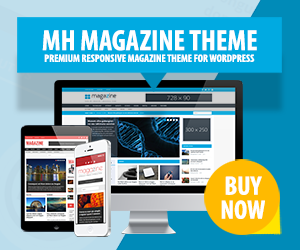 Of course, this theme is fully responsive to ensure your properties can be viewed perfectly on any devices. By using the BENAA theme, you’ll benefit from one-click demo data with 10 homepage layouts, displaying latest properties in a slideshow format, interactive map to display links to your properties in a certain geographical area, functionality to create a multi-vendor online marketplace, mortgage calculator, profile and properties management, payment processing systems, property comparison tool and much more! Overall, BENAA is a perfect theme for real estate agents / realtors.